Ahead of the June 6 inauguration of the 9th National Assembly (NASS), the race for the Speaker of the House of Representatives is getting interesting as incumbent Speaker, Yakubu Dogara is strategising to cash in on the self-inflicted discord ravaging the APC, to retain his seat. Reliable sources told The Guardian that the Speaker, who may be in possession of a trump card, is quietly reaching out to the 123 Peoples Democratic Party (PDP) members-elect and a section of APC members, who are occupying key committee positions in a bid to curry their support. 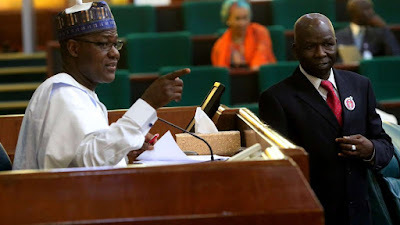 Dogara, who has maintained studied silence on his ambition, had through his aide on media and public affairs, Malam Hassan Adamu Turaki, said he won’t be dragged into talks on the speakership, but would rather occupy himself with the task of serving out his tenure successfully. However, moves by members-elect from the North Central and South East geo-political zones to take a shot at the speakership may sound the death knell for the ruling party’s zoning of the seat to the South West geo-political zone.With unfolding developments, there is the likelihood that contest could get unmanageable when the 9th NASS is inaugurated in less than 60 days, because lawmakers from both zones insist that APC’s decision smacks of insensitivity to the need to adhere to the principles of federal character aimed at ensuring equitable distribution of positions of power in the country. Lawmakers that have so far delared interest in Dogara’s job include; Ahmed Idris Wase (APC, Plateau), Muhammed Umar Bago (APC, Niger), and Nkeiruka Onyejeocha (APC, Abia). They said they are better placed to take the seat than Mr. Femi Gbajabiamila, who is the preferred choice of APC. Wase’s candidacy is already gaining grounds among lawmakers from the zone, who argue that he stands out in view of his years of experience, commitment to the party, sense of organisation and leadership qualities. Moreover, Wase known with the sobriquet “Maje,” remains one of the strong pillars of the APC in Plateau State, with his constituency consistently voting for President Muhammadu Buhari and the APC in all elections.Beyond his native Plateau State, other lawmakers say record of service in his three terms (from 2007 to date) speaks loud for him. As a member of different standing committees in the 6th, 7th and the current 8th House, such as Emergency & Disasters, Environment, Capital Market, as well as the Federal Character, which he chaired twice, Wase’s contributions accelerated the passage of numerous executive bills such as the Companies & Allied Matters Act (Amendment) Bill 2018, and the Deep Offshore and Inland Basins Production Sharing Contract (Amendment) Bill 2018. These contributions seem to endear him to his colleagues, resulting in his elevation to the position of Deputy Leader of the House after the demise of Umar Buba Jibril, early last year.Bago, a second termer at a cocktail he hosted for new and returning House members in Abuja noted: “I won’t be in this race in the first place if this position was zoned to the South East because I will see equity in it, but for it to be zoned to South West there is no equity at all. 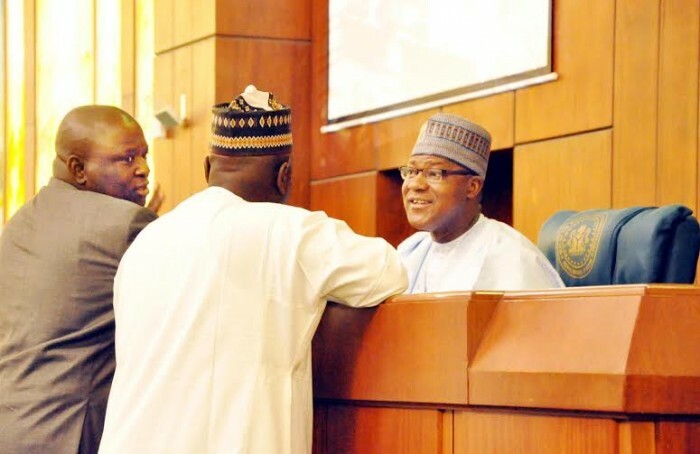 Feelers, however, reveal that APC may fall back on Wase to ensure that Dogara does not spring a surprise by cashing on the determined efforts by lawmakers from North Central. A former House member, Mr. Lumumba Dah-Adeh, who is more predisposed to Wase’s emergence, explained that the current configuration of the country’s political structure favours the North Central to produce the speaker. Adeh, who represented Jos North/Bassa Federal Constituency from 1999 to 2003, said Wase possesses the quality of a high-class lawmaker with the capacity to effectively preside over the House.Nevertheless, Gbajabiamila, who remains the candidate to beat is being endorsed by most members of the North West and North East geo-political zones who occupy over one third of seats in the 360-member lower legislative chamber.